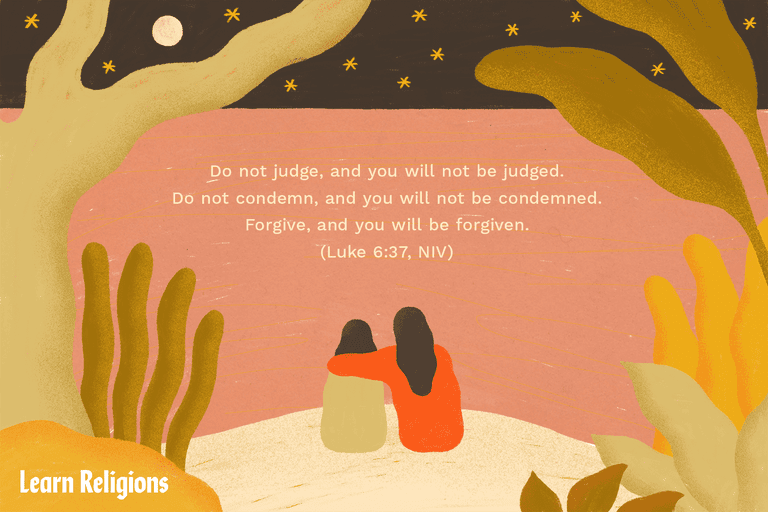 Find lasting comfort in these Bible quotes on forgiveness. These Bible verses on forgiveness are a reminder that God is gracious and merciful. He pardons the sins of those who repent and come to him seeking a clean heart. With Jesus Christ, there is always an opportunity for a new beginning. Reflect on the kindness of the Lord with these Bible verses about forgiveness. So watch yourselves. "If your brother or sister sins against you, rebuke them; and if they repent, forgive them." In him, we have redemption through his blood, the forgiveness of sins, in accordance with the riches of God's grace. Learning how to forgive others is one of the most unnatural duties in the Christian life. It goes against our human nature. Forgiving is a supernatural act that Jesus Christwas capable of, but when we are hurt by someone, we want to hold a grudge. We want justice. Sadly, we don't trust God with that. There is a secret to successfully living the Christian life, however, and that same secret applies when we're struggling with how to forgive. We seek others' approval. When they reject us instead, it hurts. By taking our eyes off God and his acceptance and putting them on the conditional acceptance of our boss, spouse, or friend, we set ourselves up to be hurt. We forget that other people are incapable of unconditional love. Even when other people's criticism is valid, it's still hard to take. It reminds us that we have failed in some way. We didn't measure up to their expectations, and often when they remind us of that, tact is low on their priority list. Sometimes our critics have ulterior motives. An old proverb from India goes, "Some men try to be tall by cutting off the heads of others." They try to make themselves feel better by making others feel bad. You have probably had the experience of being put down by a nasty remark. When that happens, it is easy to forget that others are broken just like us. The answer lies in understanding the Trinity's role in forgiveness. Christ's role was to die for our sins. God the Father's role was to accept Jesus' sacrifice on our behalf and forgive us. Today, the Holy Spirit's role is to enable us to do those things in the Christian life we cannot do on our own, namely forgive others because God has forgiven us. Rolling our burdens onto the Lord—that's the secret of the Christian life, and the secret of how to forgive. Trusting God. Depending on him instead of ourselves. It's a hard thing but not a complicated thing. It's the only way we can truly forgive.